Ann Marie is using Smore newsletters to spread the word online. It was such a pleasure meeting you at the Melting Pot during Ladies Night...just wish there would have been more time to chat! I have some pretty incredible news for the remainder of June and wanted to ensure that you were included. If you've ever thought about shopping, hosting a trunk show, or becoming a fashion stylist like me, JUNE is the month for all of it! Take a look at the details and let's talk!!! Our AMAZING Dot Dollar Rewards program is back this month...it pays to shop! 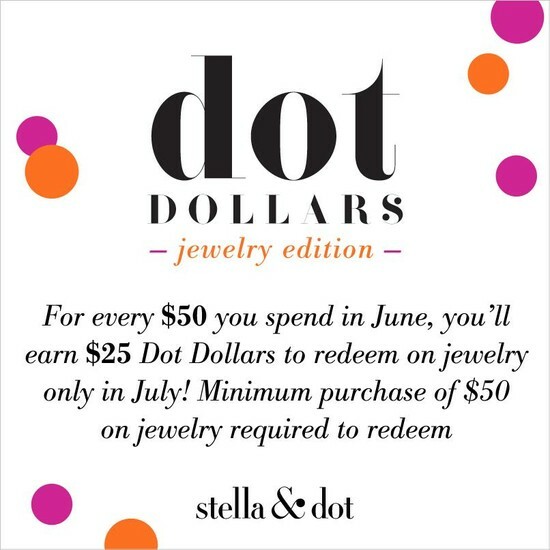 For every $50 you spend this month, you get $25 Dot Dollars to redeem on jewelry in July! All hostesses this month earn an extra $50 in swag for simply being a style connector!!! Want a great summer job that is flexible & super fun that will help pay for your shoe addiction or that great summer vacation? I have room for 3 more to train over the next few weeks and there's never been a better time to take advantage of our 60 day trial period. Call or email me if you're curious....I'd love to answer any questions...referrals are welcome too! It is my privilege to provide you with excellent personal service. 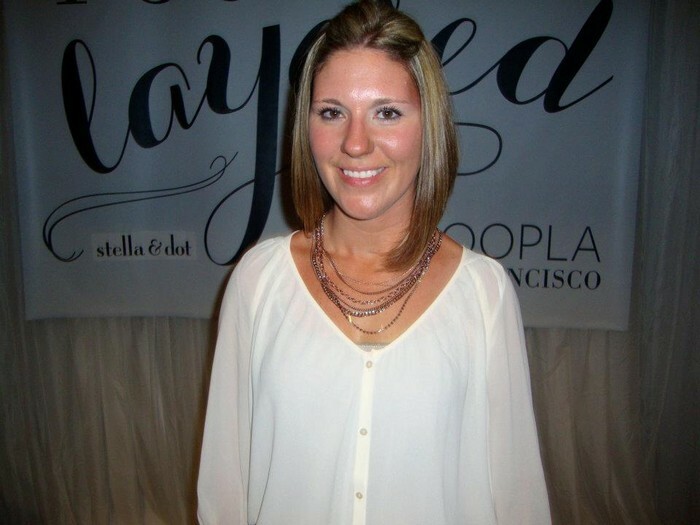 I'm here for style advice, to schedule a complimentary personal styling session for you or to simply place an order.